Funny enough, with slowing down to take in the holiday season with my little family, I've gotten slightly, just maybe, half way caught up on blogging! So many beautiful moments and stellar people to show you! This is the first year I've been working from home for the holidays, or even the school year in fact. And it has been awesome! I've been making cookies and decorating, and filling our home with all of the good Christmas time smells. Not to toot my own horn, but my house smells amazing, thanks of course to the ridiculous amounts of candles in each room. And the thing no one EVER told me about working from home as a parent during the holiday season, I get to wrap presents during the day! Not in the middle of the night and panic about being walked in on by a sleep walking toddler. Speaking of toddlers, well transitioning from toddlers to babies. I'm an aunt! 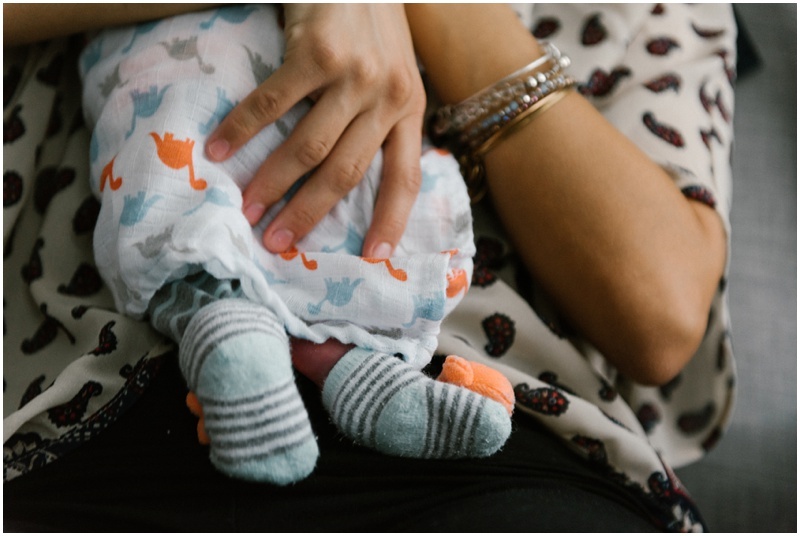 I've shared this handsome boys newborn session, which was a dream! And now I'm here with a mini Christmas session that I was able to talk my sister in law into. Isn't this family gorgeous! And cute, like so cute that their first name initials put together equal PB&J. Baby J wasn't too big a fan of the chilly outside, but Mom & Dad look to goo not to share. I also honestly love looking back through a session and sneaking giggles at the babies faces, screaming and all. But moving indoors was a complete game changer for J, the fresh food didn't hurt either. Chilly temperatures and a cuddly couple make for a great late fall engagement session. 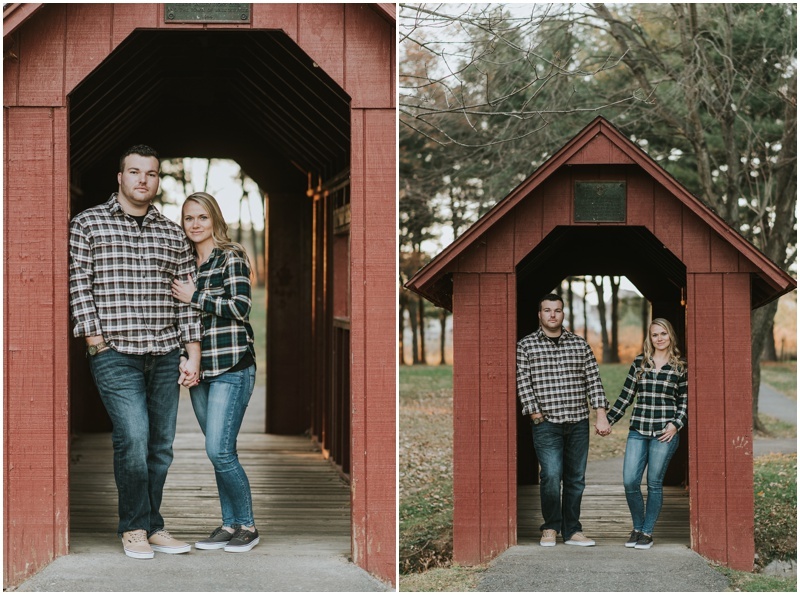 S & C were awesome to work with from the start, and pretty much gave me a personal tour of the beautiful Walkersville, MD area where we got to stop around for some great spaces for their session! After starting out alongside some the beautiful rolling hills and farms of Maryland, we headed to a sun drenched field that made our golden hour time glow. I'm not always the biggest fans of props because I want to focus on the love my couples share, but these two props that they brought along worked so great for their session and we were able to create some fresh images for them! OH! This ring shot is one of my favorites from this year, so a dreamy shot with a gorgeous ring. I love how the background just melts away. S & C were also so cool. So cool with their flannels and matching vans. I'm still the kid who is in love with their converses and vans and when they said that had matching vans, let's just say I'm pretty sure that I squealed. And this adorable covered bridge for a walkway was perfect. Just perfect. Best of all, we got to end the night underneath the christmas lights hung on Shab Row in downtown Frederick. S had mentioned how much she loved the lights so we braved the chilly night and made sure to grab some magical shots of them! It was an awesomely fun night with these to and I cannot wait until their wedding next year! See you soon! This magical amazing baby boy is such a gift to this loving family. It wasn't the smoothest trip getting him here but all of the struggles were worth it for this adorable baby boy. Baby J is a pretty happy little bundle, but when he's hungry, oh man is he hungry. I've fallen completely in love with this little boy, but I could be biased, as he is my nephew. His momma and I made sure to have a relaxed and fun time with his newborn session and ended up working a lifestyle session for them. Just capturing them together. It was a wonderful afternoon spent. Soak some of Baby J up for yourself!